We never hitchhiked. We rode our motorcycles and camped wild. 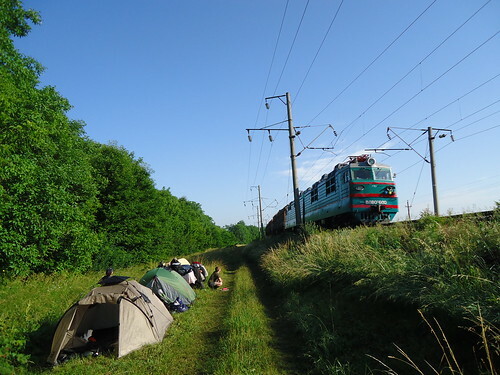 But I can tell you Bulgaria is a fantastic country, and we had no problems camping wild there. (Except for a night where boars visited us. But even that turned out ok!) The video was taken somewhere in the Ukraine. Where exactly I do not remember anymore!